If you went back in time and told 10 year old me playing Smash on the N64 that I would be able to play the 4th gen Smash on a handheld, I wouldn't have believed you. It was inconceivable during the time of Gameboy Colors. Yet, here we are. The power of handhelds has come a long way since then. There is no way the DS could've handled a robust Smash experience, but the internals of 3DS match the challenge. Well, they fall a bit short since Nintendo are releasing a new version to better handle CPU-intensive games like Smash and Kid Icarus. Still, Smash looks great. Gameplay footage from the 3DS rarely does the games justice; however, any fears about the visuals are allayed once you sit down with it yourself. The 3D effect lends itself well to the visuals. I was a bit apprehensive about the amount of content when Nintendo teased stuff like Smash Run. After Subspace Emissary, I was sure that they would have to make cuts in some department. After playing the game, I can confidently say that I was wrong. There is a ton of content packed in the 3DS cartridge. You've still got Classic mode as the focus of the single-player experience. Mini-game staples, such as Home-run Contest and Multi-man Smash, return as welcome distractions. Smash Run is perfectly tailored for portables and serves as an excellent replacement for Subspace Emissary. 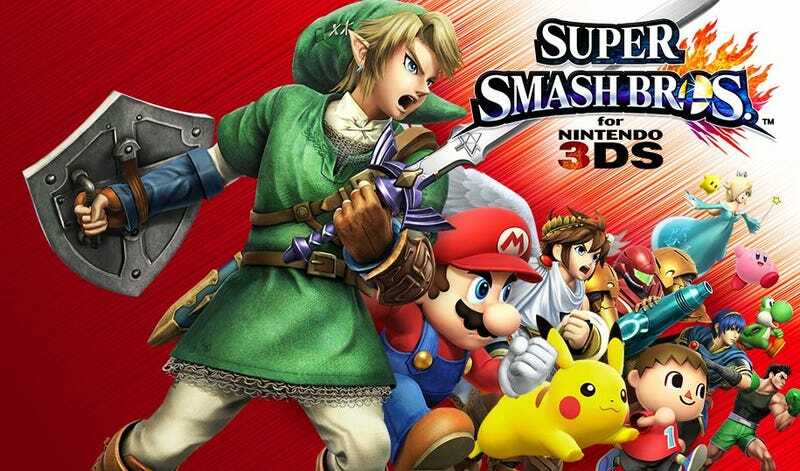 As usual, Smash features plenty of unlockables and trophies to collect. If all of this wasn't enough, the customization options for Miis and characters add a ton of depth and replayability. Smash is one of those games that can be played in bursts or for hours if you're playing with friends. You can easily play a few rounds on the bus or try to set new high scores in the Home-run Contest while waiting during Destiny's loading screens. The 5 minute long Smash Run was designed with this bite-sized experience in mind. I've kept my 3DS in sleep mode as I pick it up and play throughout the day at various times. All the modes make handheld Smash a perfect addition to the series. However, the conundrum doesn't lie with the visuals or the amount of content, but the hardware. The first time I booted it up, I was in equal parts captivated and confused. My brain had never seen Smash on such a small screen so close to my face before. The size of the screen and handheld add up to a somewhat uncomfortable experience. I've been playing it on my regular 3DS and I can play for about 10-15 minutes before my fingers and palms become sweaty and my thumb begins to slip from the analog stick once the action gets hectic. My hands are by no means large, either. I've never experienced this problem before on a handheld; but then again, I've never really played anything this fast-paced and frenetic in the palms of my hands either. This is a shame, because after having spent a large chunk of my dorm days playing tourney-rules Brawl, I was really looking forward to the addition of ranked online matches. Not that it matters right now since the netcode is a laggy mess. Still, this is a case of a great portable game that is hindered by the design of the hardware, though I don't know how 3DS XL owners are faring with it. So now I'm left in a weird place. Portable Smash has me craving for more, but it doesn't scratch the one itch that's been bothering me the most: ranked online matches. I'm seriously considering waiting for Black Friday to see what deals they have on the Wii U, but I also want to know what Nintendo's plans are for the updated 3DS. Till then I'll just bite the bullet and try to find some solution. Playing with rubber gloves? No harm in trying.